All the sections were built with Divi modules – Testimonials, Contact Form, Slider, Blurb, Gallery, Text modules and Map. 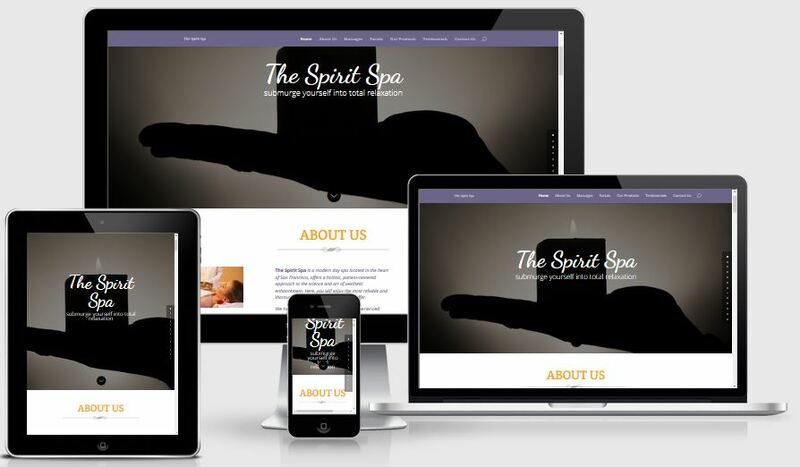 This is a sample of responsive website for a Spa or massage parlor. The goals were to have a single page website with an About Page, a Contact Form, Location. Four colors were used throughout the website to keep the consistency. I have used a simple text logo on this site as it is a sample website. If you would like something similar for your business needs, contact me and I can customize the site as per your needs.